Zukul Ad Network is going to be launching on April 1, 2016. During its prelaunch stage, thousands of members had already joined, and the number is increasing day by day. The owners of this site are Jeremy Rush and Michael Bloom. They are not new in this field and has been running another famous site called Zukul. This time, the program is more of a revenue sharing platform. The site bridge between advertisers and publishers and, as a result, shares revenue with the people who buy ad packs. Though I am not a great supporter of revenue sharing sites that have a very low-quality product ZAN product seems to be much better than other products. My #1 recommendation is still Wealthy Affiliate because it has been around more than ten years and train you how to build a solid business online. There are different types of Ad Packs costing between $1 to $50, and you earn between 120% to 150% in revenue from the Ad-Pack purchases. The program looks very promising and has the plan to stay for a few years. If you look at traditional Revenue Share programs the revenue to be shared is dependent on purchases of new Ad Pack made by members. This makes them more of a Ponzi business, but Zukul Ad Network is different as they will be bringing revenue in from multiple sources. This will sustain the program for many years to come. 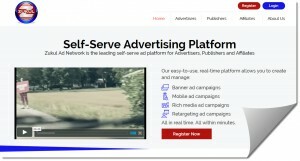 How to Earn Money from Zukul Ad Network? Revenue Sharing – There are different types of ad packs that a member can purchase and be part of their revenue sharing platform. You can start from level 1 and before moving to next level you should purchase a minimum of 100 ad packs. Moreover, you can have a maximum of 200 ad packs on each level except for the last level where you can retain 3000 ad packs. Affiliate Commission – As a member of this site you can refer as many people as you like and this will rewards you 10% referral commissions on purchases from their referrals. If you don’t refer people, then you can also purchase direct referrals. You will have the ability to receive two referrals in the Rotator System. This will build your entire downline on auto-pilot. From level 2 you would also be entitled to be a part of their three levels affiliate program. The management has not yet disclosed the details. Ad Pack Plan 1: Assume you are at level 1 and have 100 ad packs. Your return on these ad packs will be $120. Now you have two referrals who have also purchased 100 ad packs, so this will reward you affiliate commission of $10, $10 on each side. Your total return will become $140, and as you have invested $100 for purchasing 100 ad packs, so your profit becomes $40. Ad Pack Plan 2: Assume you are at level 3 and have 100 ad packs. Your return on these ad packs will be $360. Now you have introduced two referrals who have also purchased 100 ad packs, so this will reward you affiliate commission of $30, $30 ($300 x 10%) on each side. In level two you will also be entitled to earn 3 level affiliate program, so this will earn you $1.18. Your total return will become $421.18 and as you have invested $303 ($300 for ad packs and $3 for a monthly membership fee), so your profit becomes $120. I think this has removed most of your doubts about how this compensation plan works. 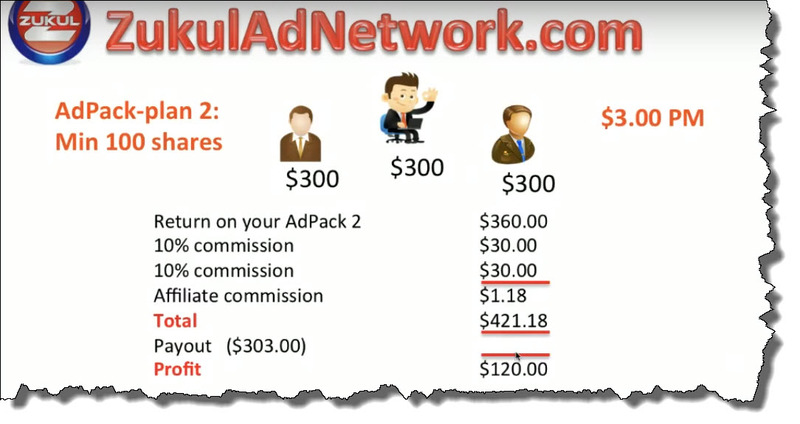 Zukul Ad Network has great earning potential, and it offers a great return on investment on its advertising packs. It is great for those people who have investment and wanted to see their money grow. To be honest, this is not very stable and solid opportunity but people looking for a short-term opportunity this can be the best possible solution for them. Their compensation plan is very lucrative, and if you also knew how to refer people, then it add more earning potential for you. 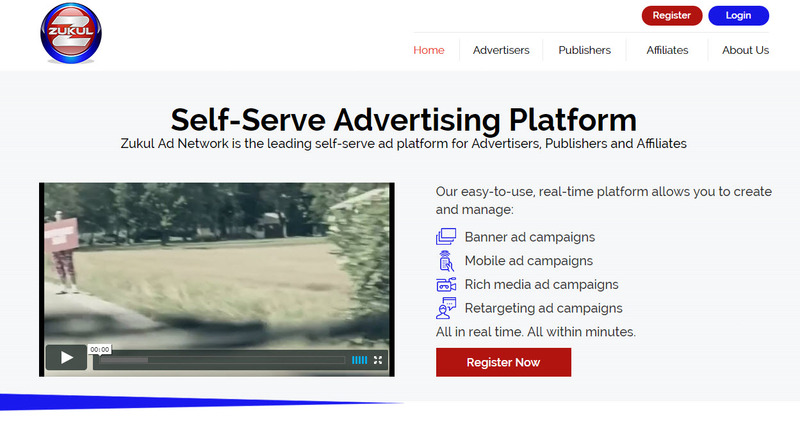 Traditional revenue sharing platform greatly dependent on the sales of ad packs but ZAN are looking for revenue streams from multiple resources. If not ideal, this is one of better revenue sharing platform out there. This is not something from people who is experimenting with the people money. Jeremy Rush knows what he is doing and has been the owner of many other good platforms. Revenue sharing industry is evolving day by day and till now this is one of better opportunity available. The success of this system can easily be judged from joining of more than 50,000 people with the site in a short span of time. If you look at other revenue sharing platforms then they mostly survive for 3 to 6 months, and Traffic Monsoon is one of better sites that has been around for more than a year, but it is also facing difficulties from PayPal. ZAN tries to improve this model and looks like it can also survive for few years if something fancy will not happen here. Though they are adding new revenue features but still they are largely dependent on sales of ad packs to the members and if they don’t buy they ZAN would be able to share profit with a very little amount daily. Similar to other revenue sharing sites people also join this site due to their passive income opportunity. The product is only assumed to be good if there is no revenue sharing opportunity and still people desire to buy that product which doesn’t seem to be fit here. I am expecting more from ZAN to add more features and quality that can make this system more sustainable. 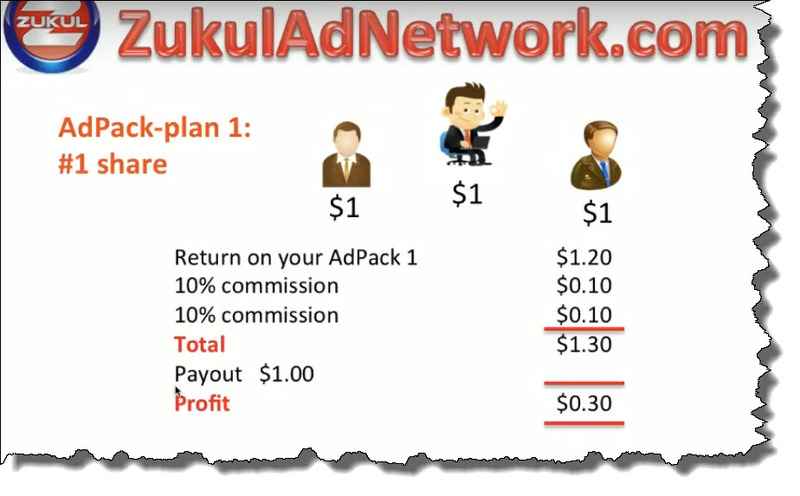 Zukul Ad Network seems to a better addition to revenue sharing opportunity. It is great for people having extra money and looking for passive income opportunity. Don’t expect too much from this system because there are a lot of issues that need to be considered. If you want to invest in this venture, then invest that amount which you can afford to lose. The best way is to withdraw your money as soon as possible and play with the profit earned. If you are looking for an opportunity that provides you full-time income, then see my #1 recommendation. It is not a passive way of earnings and requires your hard work, but it has far more reward than any other business model. Thanks Jamie for your comment and it helps my readers to know the truth about this site. I am in the same situation, $5,500 and for a while it stopped to move to another system, then March 8 is the last payment for ZukulAdNetwork. I would like to get my money back. Otherwise I would like to complain about the company. But where? I read your attempts and I agree they are creating new “things” to extort money from people like me and you. Have you purchased any shares or ad packs. If yes then it is unlikely to receive not any money. My suggestion is to contact the admin as soon as possible. You must leave funds in your pending balance for 28 days. After 28 days have passed those funds are moved into the available to withdraw balance.